Savvy Chic Kids Consignment is proud to partner with and support some amazing local organizations with a mission to serve the needs of families in the Inland Empire. When you select “Donate” on your tags, not only are you making the consigning process hassle-free and earning an extra 5%, you are paying it forward to bless a child or family in need and making a difference right here in our community. Here are a few of the organizations that have been impacted by your generosity in donating at our sale events. Everyone deserves a good pair of shoes! Yet every day, children are prevented from attending school or must go wearing ill-fitting shoes. Many adults don't have appropriate shoes for work, the weather or simply for everyday. Walking becomes unbearable. In Spring 2017, Savvy Chic Kids consignors and shoppers donated over 200 pairs of shoes to the Student Association of La Sierra University (SALSU) for their "wear out poverty" shoe campaign. A total of over 1000 shoes were donated to those in need via partnership with Soles4Souls. Thank you to all who got involved by donating over 200 pairs of shoes for this cause! PATH OF LIFE MINISTRIES is a dynamic group of community-minded individuals who have been serving our city since 1998. Path of Life serves the greater Riverside homeless, challenged youth and family population with the goal to rescue, restore and rebuild lives in our community. La Sierra University Church’s Wellness Warehouse Community Services program is one of its most important and impactful programs as it is vital to the strength and success of the surrounding community. The program provides food and clothing to approximately six hundred families every month. This ministry also offers social services assistance, including job searches, resume writing, information about medical insurance eligibility, citizenship and ESL classes, food handlers permit certification, as well as referrals to an array of impactful community resources. To learn more about La Sierra University Church and it's ministries, please click here. Beds & Blessings focuses on helping children in the Riverside County Foster Care System who need beds and bedding in order to stay with their extended families or to be reunified with their parents. Savvy Chic Kids donates all bedding marked for donation to this very important organization. UREACH MINISTRY has a special passion to serve the homeless and hungry populations of our area and works with several partner organizations, such as Inland Temporary Homes and Helping Hands Food Pantry to meet the needs of families and individuals in their journey towards independence and self-sufficiency. To read more about the outreach ministry of UREACH, click here. Savvy Chic Kids donated to Operation SafeHouse after several sale events. Operation SafeHouse provides emergency shelter, intervention and outreach services to runaway, homeless and other youth in crisis. SafeHouse offers youth positive alternatives to becoming victims of the streets. 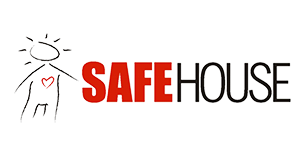 To learn more about Operation Safehouse, click here. "On behalf of La Sierra University Church, the Wellness Warehouse, and our community, I would like to thank you and the Savvy Chic Kids' team for all of your generosity over the years. The children's clothing, toys, and furniture donated has allowed us to provide quality resources to the over 400 low-income families that we serve each month." With sincere and heartfelt thanks!